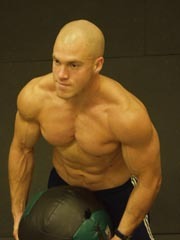 In Firebreather Fitness, Greg Amundson introduces a specific nutritional plan called the “Zone Diet”. 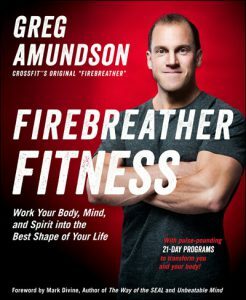 Greg’s contention is that Firebreather Fitness is more than an elite fitness and conditioning program: Being a Firebreather is a way of life. The lessons learned in the gym are directly applicable to life outside the gym, including the kitchen! Therefore, at Firebreather Fitness, we find it perfectly logical the word “diet” comes from the Greek root meaning “way of life” – and that eating in the “Zone” is a way of life that supports a healthy body, mind and spirit. The Zone Diet was created by Dr. Berry Sears. The Zone, which Sears debuted in his first book called “Enter The Zone” in 1995, is his term for proper hormone balance. Dr. Sears says that a 40-30-30 calorie ratio of low-glycemic carbs (mostly fruits and veggies) to low-fat protein has several great effects on the body. The first effect is that this ratio of nutrients causes the release of moderate amounts of the hormones insulin and glycagon, which together trigger the release of a flood of feel-good chemicals called eicosanoids. These chemicals help protect your heart, open the bronchi of the lungs and reduce inflammation. A secondary effect of significance to CrossFIt Athletes is the 40-30-30 ratio also leads to fat loss, increased muscle mass and increased athletic capacity. In addition to the 40-30-30 ratio, the other main aspect of the Zone diet is portion control. Athletes are allotted a certain number of “blocks” of food a day for their size and exercise level. A block, under the Zone system, is a balanced unit of food, composed of the following three sub-blocks: Protein (7 grams – i.e. one ounce of chicken, one egg, 1.5 ounces of fish. ); Carbs (9 grams – i.e. half an apple, four cups of broccoli, one cup strawberries. ); and fat (1.5 grams – i.e. three olives, three almonds, one teaspoon of olive oil.). According to the Zone, “average” men and women need 14 and 11 blocks per day, respectively, and a 6-foot 185-pound man would use 16 to 18 blocks. In Firebreather Fitness, we encourage Athlete’s to consume lean and fresh protein sources, and to eat only fruits and veggies as the source of carbohydrate.